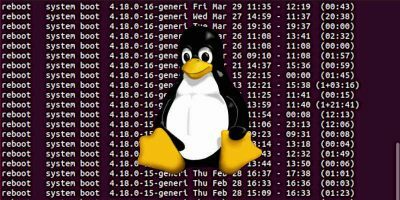 While Grub 2 is a useful bootloader used in many Linux distros, configuring it is not an easy task. Most of the time, you have to use the command-line to edit the config file, which doesn’t make it very user-friendly. In addition, you also have to know which file to edit as most of its config files are auto-generated and making changes to the wrong file will not have any effect on the Grub menu. 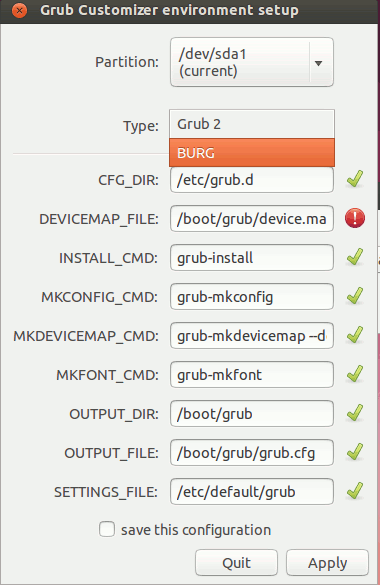 Grub customizer is a simple, yet useful tool for you to customize and configure Grub 2 (and BURG) bootloader. It comes with a GUI, so you don’t have to use the command line ever again. 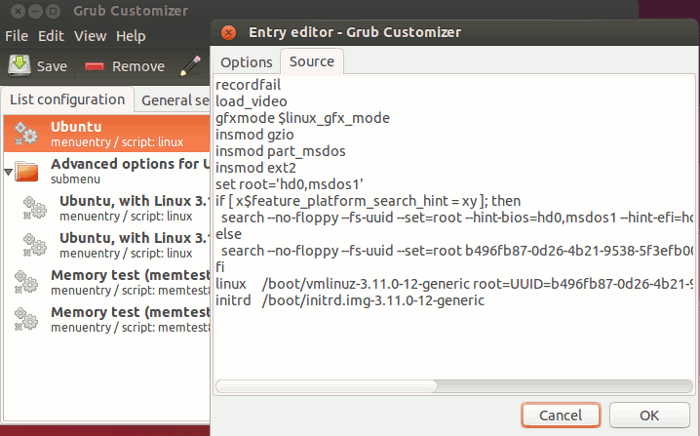 The main use of Grub customizer is for you to rearrange the entries in the Grub menu and also to edit/delete/add new entries. 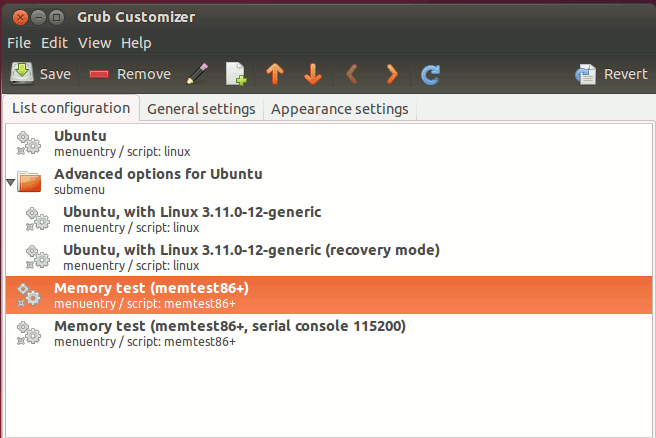 It also comes with options for you to customize the behavior and look and feel of the Grub menu. 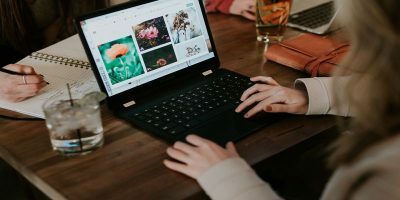 Note: If you only have one OS installed in your computer and you are not seeing the Grub menu, then Grub customizer may not be useful to you. 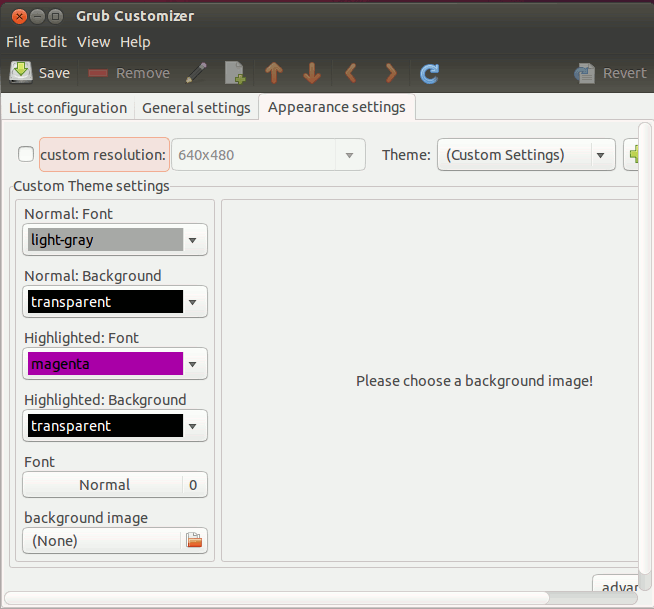 Grub customizer is available in Launchpad, so it is easy to install it in Ubuntu, or any Ubuntu-based distro. 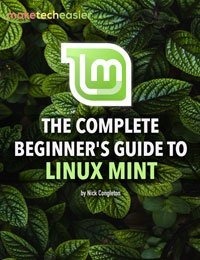 Use the commands below to install Grub customizer. 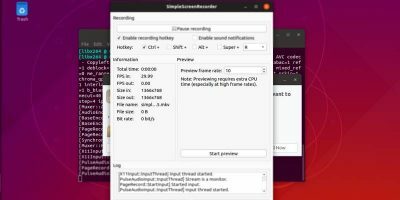 For Fedora, or other rpm-based distro, you can grab the rpm packages here. After the installation, run Grub-customizer. On the main screen, you will find all the entries in your Grub menu. From here, you can select any of the entry and rearrange it by clicking the Up/down arrow button. You can also edit the entry or even delete/add new entries. If you are using BURG or have a different Grub setup, you can go to “File -> Change Environment” to change the bootloader type and configuration. When you go to the “General Settings” tab, you will be able to change the settings like default entry (which item is pre-selected when you boot up the computer), visibility (how long the grub menu will show up before the default entry is selected) and the kernel parameters. And if you dislike the color scheme of your existing Grub menu, you can change it in the “Appearance Settings” tab. Things you can configure include the resolution, background image, font size and color, background color etc. Once you are done with all the customization, simply click the “Save” button and it will automatically save and update the system. There is an option for you to install Grub to MBR, but most of the time, you won’t need to do so. The usual way of configuring and customizing the Grub menu is not an easy task. 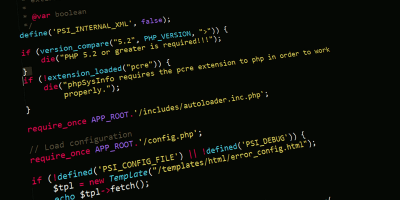 It often requires you to have knowledge of how Grub 2 works and which config files to edit. 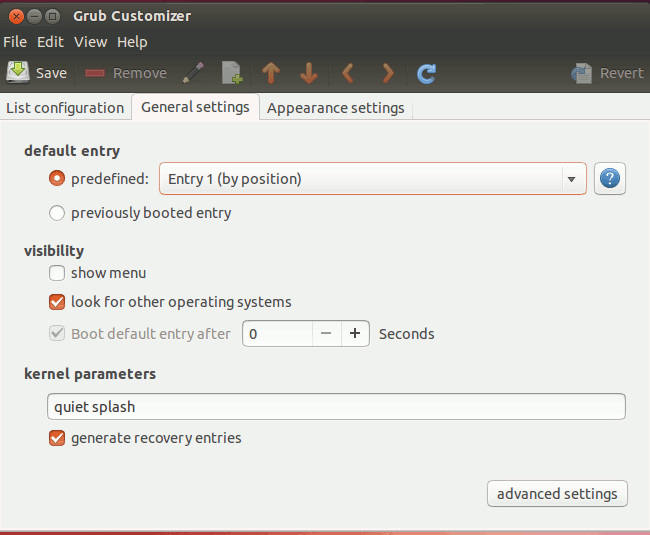 A tool like Grub customizer makes it easy for anyone to customize the Grub menu effortlessly. Even for me who have a good knowledge of how Grub2 works, I appreciate the simplicity and effectiveness of Grub customizer. 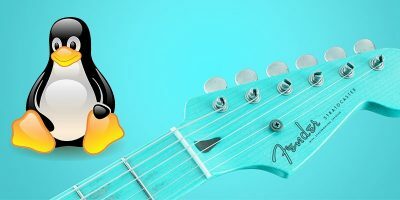 Is Grub-customizer strictly for *buntus? 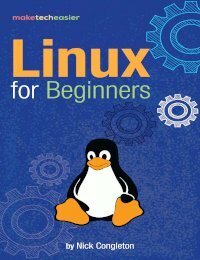 Or can it be installed in other distros? If it can be, what is the repository? 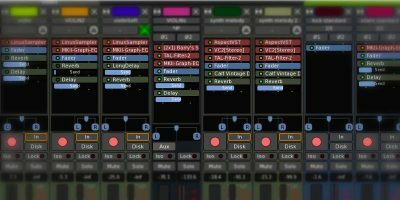 I did post the link for its RPM files, so it is not for *buntus only. That’s all well and good but only *buntus use PPAs, other Debian-based distros do not. 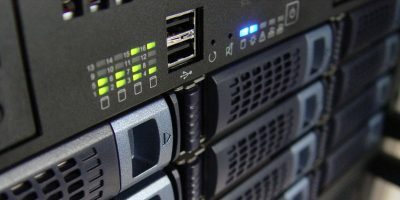 Maybe you can post the address of the repository for Grub-customizer. 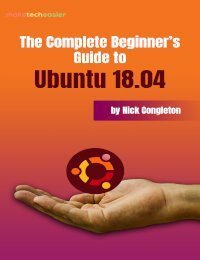 One thing that I do not understand with regards to the Linux operating system: If I install some piece of software that is not part of the standard distribution package, am I then responsible for hunting down and installing the latest version, or will Ubuntu’s Update Manager automatically take care of that every time that it runs? 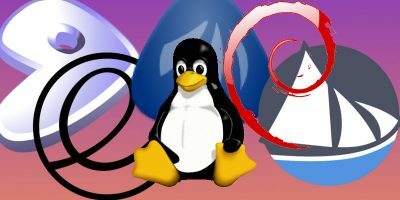 If you install an application from a PPA, package manager or Ubuntu Software Center, you can be sure that it will always get updated to the latest version. If you compile from source, or from a deb file, you will have to be in charge of your own update. It’s available in Fedora20 with default updates repo.